Progressive Cavity Pumps are Positive Displacement Pumps with an internal rotor with progressive cavities to push the fluid through a Stator which is a specialized rubber lining inside a steel tube. It contains a helical screw impression on the inside that the Rotor fits into. When the Rotor turns inside the stator, a series of cavities forms inside in-between the rotor and stator that pushes the pumped medium gently down its length resulting in a non-pulsing flow with minimal shear to the pumped material. Progressive (or Progressing) Cavity Pumps are ideal for applications including viscous materials, materials with suspended particles, slurry, wastewater, sterile food applications and many industrial uses where limited shear with entrained solids is your pumping requirement. Shanley Pump and Equipment, Inc. carry several lines of replacement Progressive Cavity Pumps and Aftermarket Progressive Cavity Pump Parts for your pumping applications including the Liberty Process Equipment line of pumps. We also stock progressive cavity pump parts for the most popular manufacturers today including, Allweiler®, Moyno™, Tarby™, Seepex™, Continental™, and Roper™. All parts come with a full warranty. Shanley Pump carries Metering Progressive Cavity Pumps as well as Sanitary Progressive Cavity Pumps for food processing. Please contact your Shanley Pump representative for more information about these options. 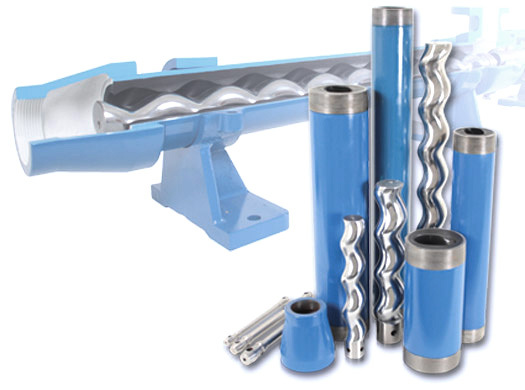 We carry the Liberty brand of progressive cavity pumps including the Liberty Series and the American Series of wobble stator pumps as well as the Millennium Series of Progressive Cavity Pumps for Heavy-Duty pumping applications and the Justice Series for applications requiring a hopper and auger pumping capability. Shanley Pump and Equipment, inc also carries a full line for replacement progressive cavity pump parts such as Rotors, Stators, Seals, Gaskets, drive ends, motors and more. Please have your Pump Model information available before contacting us to ensure a speedy quote!